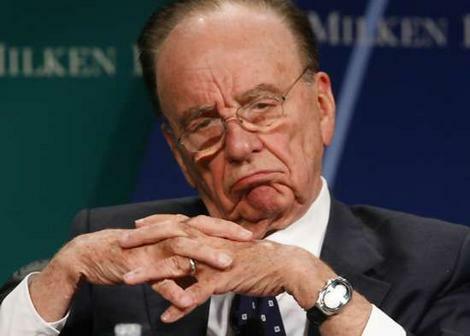 Rupert Murdoch: has he broken the law? Exaro News have put up the last six minutes of the audio of Rupert Murdoch talking at the meeting with arrested Sun journalists – bringing to 24 minutes the audio of the private comments of the News UK owner. You can listen here – http://www.exaronews.com/articles/5033/audio-rupert-murdoch-fumes-rails-and-bangs-meeting-table . Exaro have said they are happy to supply these audio clips but they are now publicly available and the police can listen to them on Exaro’s website. News UK the successor to News Corporation have denied these recordings reveal that Murdoch knew about the payments before the police investigation. You can judge that for yourself. This entry was posted in media, police and tagged bribery, operation elveden, rupert murdoch, The Sun. Bookmark the permalink.